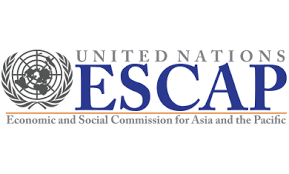 Gyeongju, Republic of Korea (ESCAP News) – Representatives of NGOs and academia finalized and adopted a global education action agenda at the 66th United Nations Department of Public Information (DPI) / Non-Governmental Organization (NGO) Conference that concluded today in Gyeongju, Republic of Korea. The Gyeongju Action Plan provides concrete guidance for NGOs around the world to enhance their ability to lobby governments for commitment to implementing the Sustainable Development Goals (SDGs), and to mobilize NGOs in communities on the ground. “This conference has demonstrated another example of the value for the United Nations in investing in partnership with academia and NGOs,” said Ms. Cristina Gallach, United Nations Under-Secretary-General for Communications and Public Information. “Unfortunately youth are still not involved enough in policy making processes around the world,” said Ms. Saphira Rameshfar, Representative of the Ba’hai Community to the United Nations and youth leader at the conference. The Gyeongju Action Plan was drafted through a global multi-stakeholder consultation process, leading up to, and during the conference. It was adopted at the final plenary session of the conference, and will be shared widely with civil society as well as the United Nations Secretary-General, the United Nations System, Member States and learning communities. Download the Gyeongju Action Plan. This entry was posted in News and tagged #Christina Gallach, #Global Education, #Gyeongiu Action Plan, #UNDPINGO, Global Goals, NGO, sustainable development, UNDPI, United Nations on June 2, 2016 by Julia Dean. This entry was posted in News and tagged Global Model UN, GMUN, Model UN, model United Nations, MUN, UN4MUN, UNDPI, UNITAR on July 19, 2013 by United Nations.